February 26, 2015 – Duncan Elphick’s retirement plans are on hold for at least a month. 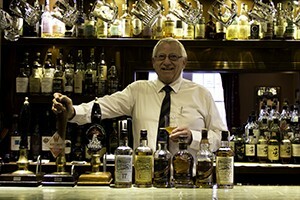 The owner of the Highlander Inn and its renowned whisky bar had planned to close on a sale to longtime colleague Tatsuya Minagawa this weekend. However, paperwork snags have delayed the closing until at least the end of March. 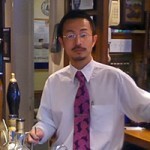 Minagawa was Elphick’s bar manager and right-hand man from 2005 until three years ago, when he left to work as a European brand ambassador for Suntory. He continued to live in Craigellachie, though, and expressed an interest in taking over the inn as soon as he heard Elphick was thinking of selling. “He’s the ideal purchaser for the property, because he knows the business, he knows these whiskies, he knows what we’ve been doing before, and he wants to take it and build it further,” Elphick said.